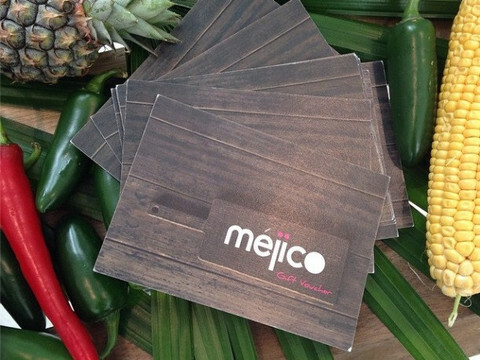 Thank you for choosing to purchase a Méjico Gift Voucher! Whoever you're gifting this to is lucky to know somebody like you! Please chose from a gift option below. Gift vouchers will be automatically emailed to the recipient, and you will be issued with a receipt right away. Gift vouchers must be redeemed at the Méjico restaurant for which your purchased it, and must be redeemed in full on the first visit. Are you buying this for somebody special? Your voucher will be sent directly to the person below. If you would like a hard copy voucher, please contact the restaurant directly to organise. will email you confirmation shortly.